This is our "Grab Bag" or "Pot Luck" sarong treasure chest. This means when you order a sarong, we pick from a large assortment of sarongs. The "Grab Bag" sarong is for those who like to be surprised or are looking for a great deal. Please contact us if you have any questions. 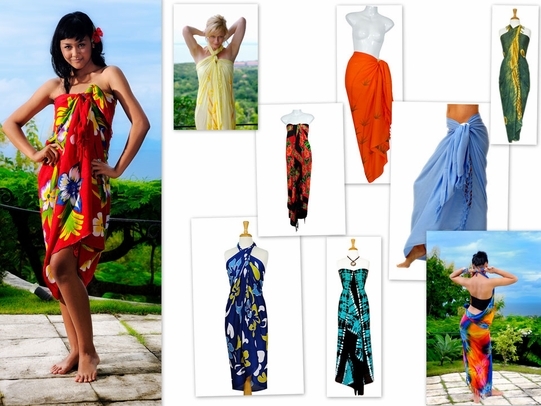 Sarong measurements are approximately 66 x 44 inches (168 cm x 112 cm) on rayon. ***Please note colors and styles WILL vary. The photo represents a very small fraction of what we actually have in stock. The option is great for Hot Hula Groups, Weddings, Promotional Groups and Special Events.